This map shows the percentage of people who biked to work in various New Zealand cities on census day, 2006. 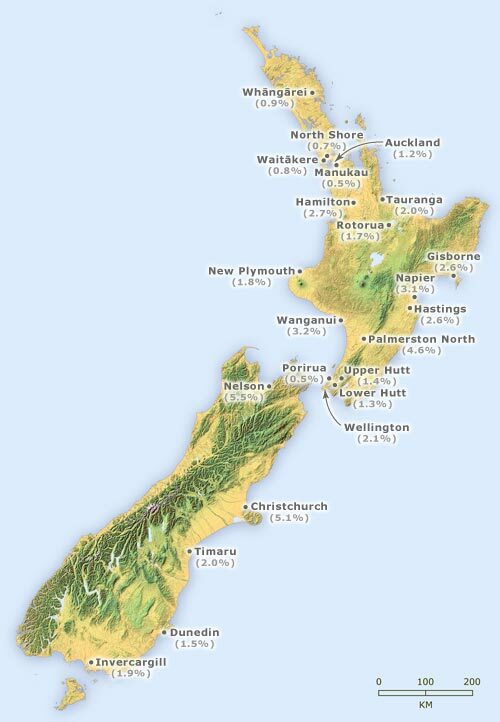 Nelson (5.5%), Christchurch (5.1%) and Palmerston North (4.6%) had the highest percentages of bike riders. For more recent statistics on cycle commuters see the 2013 census report from Statistics New Zealand.